Believe it or not, it is now coming up for 15 years since the first camera phone, the Nokia 7650, was produced. Admittedly, while taking a digital image which is usually a byword for quality, these pictures were not particularly good, so it was more a novelty factor. In addition, we did not have smart phones with Internet connection that would enable us to download and use these photographs directly. What you can’t do with a smartphone, as an example, is take a decent set of family portraits. Yes, with the help of a selfie stick you can cram quite a few people, including yourself, into one picture, but this most definitely is not what you could call a portrait. Here at ZZZone, specialists in family portraits, Bristol, we specialise more in what we refer to as more traditional forms of portrait photography. Where centuries before great artists have painted portraits of people as a means of saving an image of them for posterity, so the same applies with family portraits and family photoshoots in Bristol.However, what it did do was allow us to more easily document events in our lives in a visual format. With the advent of social media platforms such as Facebook, Instagram and Flickr, and the introduction of the smartphone which offers instant Internet access, there is virtually next-to-nothing we don’t see images of on the Internet. However, there is one major downfall of this trend, and that is the fact that it is actually quite difficult to find truly meaningful and well-composed images; they are all ‘snapshots’, the capturing of a fleeting moment in people’s lives. There are certain moments in life when you want a special photograph taken that can record a momentous period of time for your family. It can be as a reminder of a special wedding anniversary, the coming of age of one of your children, a graduation or just the addition of a new member to the family. These occasions merit far more than a cheesy grin aimed at a smartphone camera, which is where ZZZone comes into its own. Why not give us a call or better still, pop in and see us at our photographic studios in Bristol and we will be delighted to tell you more about the whole and very enjoyable experience of a family photo shoot. 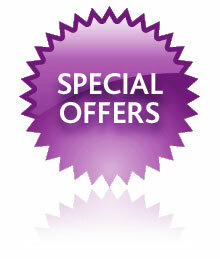 Special Offers: Check out this Month’s Offers! We'd just like to say a big thank you for the portraits you took of us and the dogs. Jake thought that the hour he spent in the studio hitting his sister with cushions was one of the best of his life! But we all enjoyed the experience enormously. I think you captured the essence of our children's personalities in a quite remarkable way. Even the dogs' characters show through, especially in the large portrait of the children and the dogs together. VIRTUAL TOUR 360 DEGREE SPECIAL OFFER £295! We have a very Special Offer for a Virtual Tour. For just £295 we will come to you and photograph six scenes and compile these into a Virtual Tour. Hosting is all included so all you need to do is embed this in your own website. We can even do that for you included in the cost! Our Virtual Tours are iPhone, iPad and Android friendly. We have undertaken about 100 of these in the past 18 months for some of the most prestigious companies in the UK. You can check out our showcase website at VIRTUALTOUROF.COM See how it looks on your website. See how it improves the time spent on the page by the viewer; very important when trying engage your prospect and convert them in to a customer! 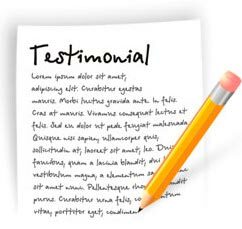 We even provide you with a 100% Money Back Guarantee; that's how confident we are in the product and how others are benefiting from this interactive viewing experience.